On Wednesday, we profiled J.P. Livingston, a woman who worked in finance in New York City for seven years before retiring last year at age 28 with $2.25 million. The story got people talking. Many CNNMoney readers viewed Livingston as an outlier with advantages that most people don't have because she graduated from Harvard with zero debt and had an extremely high income. RadicalM0derate says on Twitter: "So to retire young: get into Harvard & pay for it through scholarships and family $; save most/all of your 6 figure income for 10 yrs. Easy." To be sure, Livingston is in a rarefied group. The acceptance rate this year at Harvard is 5.2%, according to Harvard. And getting any degree debt free is far from the norm: The average student debt tops $30,000. Plus, Livingston's mid-six-figure income put her squarely in the 1%. Most people earn something closer to the median income, which is $56,500, according to the Census Bureau. But some readers found her story inspiring, and the lessons applicable. As Anton Mykytenko posted on Facebook, her experience, while on one end of the spectrum, is scalable: "Regardless of whether or not she received some help, she still worked to find the place where she's paid the most versus her living costs, saved up 70% of her income, and planned early. No matter your situation, these are still things you can apply to your life. Think about how what she did can help you get ahead instead of getting outraged." Many people have achieved financial independence on much lower incomes, like this couple we profiled in June. While age 28 is extreme, those with lower incomes might be able to do it by 35 or 40, or by moving somewhere with a lower cost of living, or learning to live on less. Other readers pointed out that Livingston can't be financially independent if her spouse still works. "She is not really retired she got married & plans on having kids & her husband still works. Like many families," writes Patrick Landers on Facebook. But Livingston's savings are enough to cover both her and her husband's expenses regardless of his income. (Plus, he has some savings of his own). Some readers questioned whether financial independence is possible for someone who didn't go to Harvard, and isn't in the 1%. One Reddit user thinks it is: "I live in NYC. $2 million is our number and we are 3/4 of the way there. Of course I made less than this woman for my entire career, went to SUNY, and still spent much of my time and money partying when I was her age. But I'm 44 and almost there." At such a young age, is $2.25 million really going to be enough to last for the rest of her life? As Matthew Coldrick replied on Facebook, "Most people need that much to retire at 60. Good luck making $2m last 60 years." With a nest egg of $2.25 million to live on for the next 60 years, she could take out $88,800 annually or about $7,400 a month from age 29 to 89, assuming a 4% growth rate. Not living large, but certainly better off than many people, especially considering she isn't even working. So Livingston feels set at 29 years old with her pot of gold. Many readers wanted to know: then what? Karren Omeara asks on Facebook: "So than what do you do with at least 50 years left?" 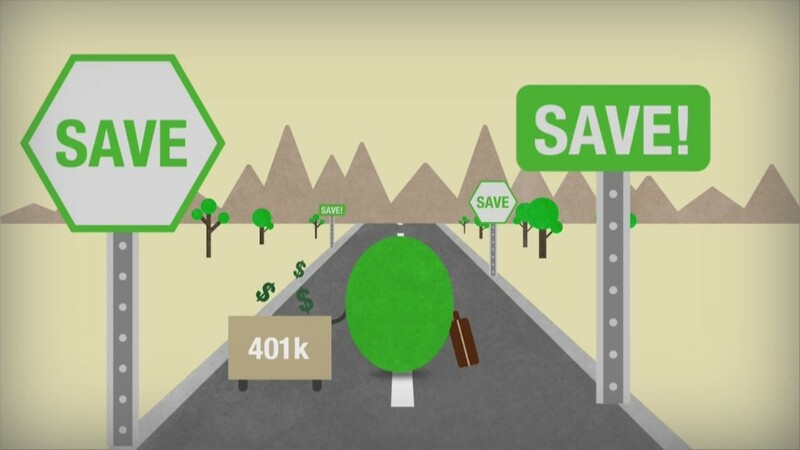 Even by making a few tweaks to your current finances -- saving 20% for retirement instead of 10%, looking to used goods instead of new, cutting entertainment expenses, investing what you have in a way that suits your risk-tolerance -- you can still get to the retirement you're looking for. Whether it is at 28 or 58, it's your journey, better to have more control over it now than less later.